Glock has announced the introduction of the G45 and line extentions of other models. If you like the idea of the Glock 19X, you will probably be a fan of the G45 (shown above). After request from customers and law-enforcement for a black version of the 19X, Glock answered with the NEW G45. The foundation was built from the same ideals as the 19X, a G19 size slide paired with a G17 size grip. 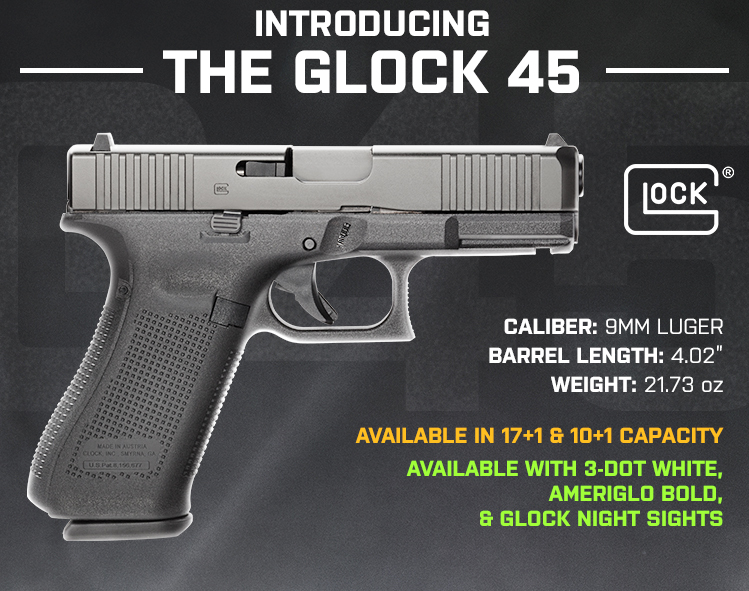 The G45 takes features from the Gen 5 Glocks and features from the 19X. The first thing you will visually notice is the addition of front slide serrations. As with the other Gen 5's, the G45 has a Glock Marksman Barrel, nDLC finished slide, ambidextrous slide stop, no finger grooves on the grip, and a flared magazine well. You will also find 3 magazines and additional back straps are included with the G45. 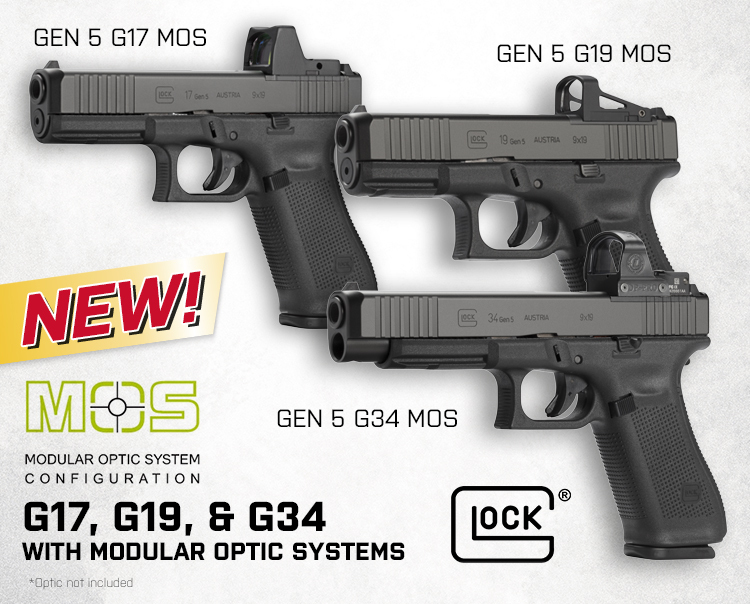 Glock also launched some additional Gen 5 models, adding the MOS configurations to the G17, G19, and G34. The Modular Optic System (MOS) makes it easier to mount a reflex optic sight on the pistol from the factory. Utilizing different adapter plates you can mount most any of the common optics.